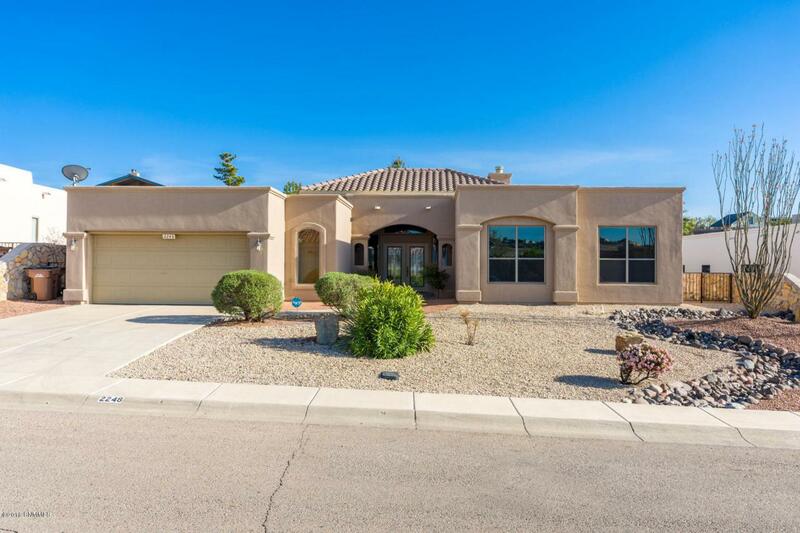 Spacious 4-bedroom, 2-bath home with two living areas and great curb appeal in a desirable neighborhood, right off Roadrunner Parkway. 2,424 square foot dream home has over-sized double doors and you'll immediately be impressed with the high ceilings and large windows, giving the home an open, airy feeling. Upgraded Interceramic tiles throughout the home, except of course in the newly carpeted four bedrooms. The large master suite boasts a huge closet to die for, a jetted tub, double headed shower and a private toilet. The kitchen has all granite countertops, a breakfast area, stainless steel appliances and more than enough cabinet space. Each living area has a gas fireplace and the garage is a must see, with a large window and the perfect place to throw darts or set up a work bench. The covered patio is perfect for grilling and chilling. Call today for your showing! Listing provided courtesy of Joshua Byers of Steinborn & Associates: (575) 522-3698. All listing information was provided by Southern New Mexico Multiple Listing Service.